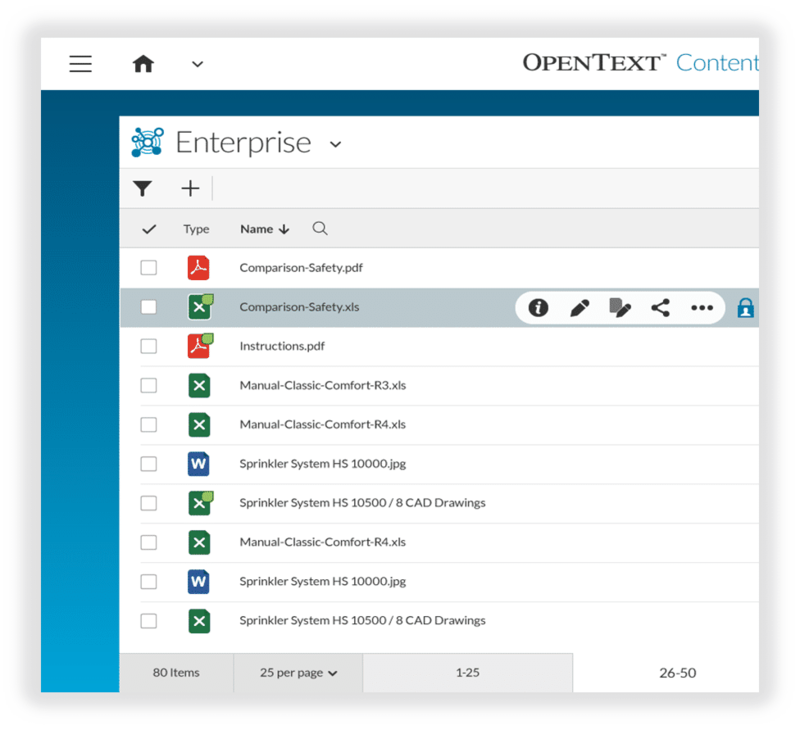 What is OpenText ECM ? 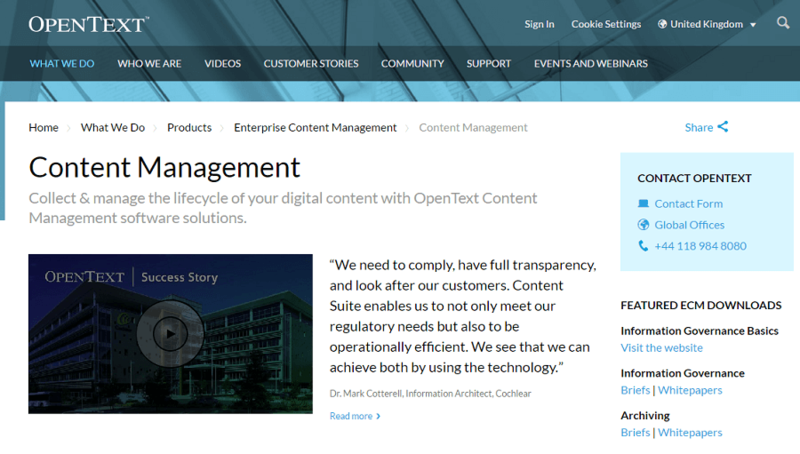 OpenText CMS provides content management solutions to business enterprises with a broad range of products that enables your people to gain secure access to information from any device or location. Its Document Management feature is a powerful, fully integrated system that provides the essentials for managing business-critical documents. It lets the user retrieve information faster and easier, all the while maintaining a high quality standard. 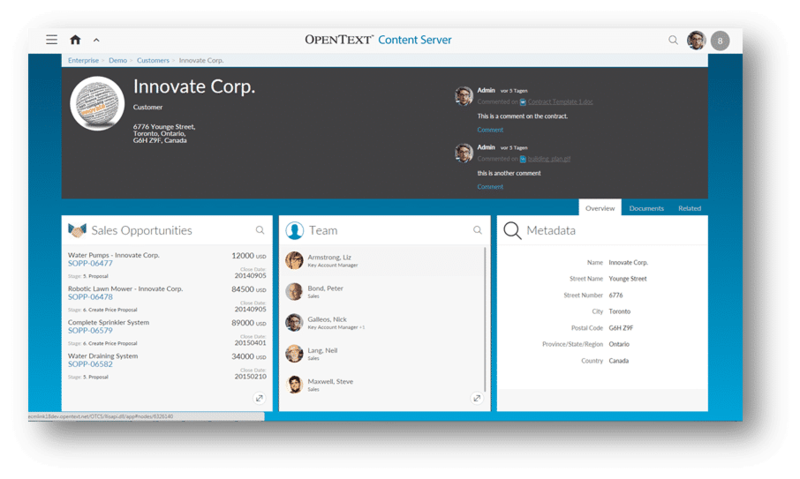 The OpenText Content Suite Platform allows the enterprise to integrate content into business processes and maximize the value of content while minimizing the risks and costs associated to the content. 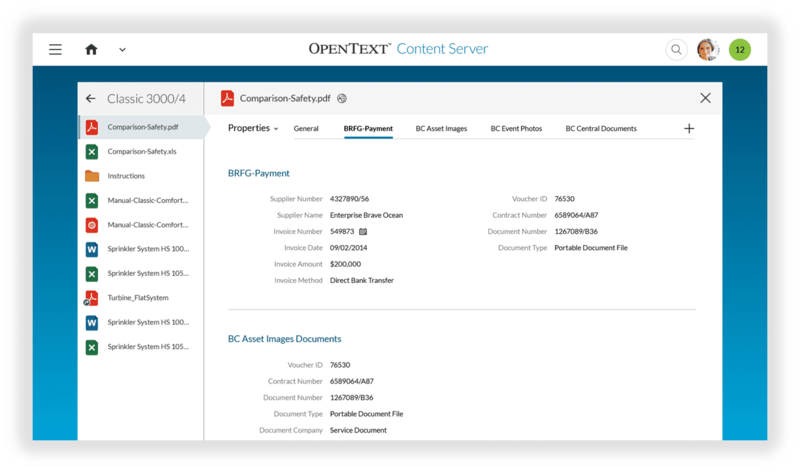 How much does OpenText ECM cost ? OpenText ECM provides a custom pricing for their software. Inclusive Enterprise Content Management solution. Contact the vendor for latest pricing information. Disclaimer: The pricing details were last updated on 23/03/2018 from the vendor website and may be different from actual. Please confirm with the vendor website before purchasing. The implementation of a new OpenText system was relatively painless. Also, there was a lot of updates to provide more efficient routing of documents. The limitations on how many roles that a document can be routed to. Make sure that you go through every possible exception to ensure that proper routing is ensured, also always have the option to send a document back to the processor for accounts payable. Less human interaction and higher accuracy within the procure-to-pay area. "Reliable with friendly user interface"
The cost involved. It's one of the most expensive ECM solutions in the market. Inability to personally edit a service once input. Easy to personalize to business needs and services provided as well as keeping a large client database. Provides an option for date of service as well as location for a case note. Strong ECM software, with good horizontal and vertical scalability, which offers a very good performance even in large deployments with good capacities to manage different layers of file, resulting in a significant savings in storage costs. Good collaborative skills. Large connectivity options and customization posibilities. The administrative tools may be a little poor when using a wide enterprise deployment, what's in fact the target of this product. May be you need an 360º view with all your content and archive servers, storage systems and more... or you'll need to filter relevant data that may have sense only on your bussiness case. I know these are things that the vendor cannot buid in a standard way, but you can solve it by creating your own tools with api, webservices and other technologies. Content and Archive management with more than 500,000,000 docs (aprox. 200Tb) from a big Financial Enterprise. It serves more than 6,000,000 requests per day with a download (medium) time less than 1 sec. Collaborative systems to several intranet's deployments all around the company with more 125000 users. Cons: The connection for creating workspaces in Content Server is slower than originally expected. Takes a lot of time to design and implement. Previously, we were using SharePoint for document management but have now upgraded to OpenText ECM. While SharePoint provided basic functionality, OpenText has enhanced our records management capability. The ability to customize workflow is vastly improved to match our complex processes. OpenText is an expensive solution driven by the need for compliance standards. For those who require strict compliance standards. Document management with compliance focus. İf it's integrated well, it will pay-off. But God save you, if it is not. Minimizing paper stuff, faster document loading, reduce the risks associated with human factor, time and financial saving, storing all documents in easy-accessible way. Integration. Takes a hell of a time. And its hard to train people who works with it. Sometimes loading takes more time, even if there are no problems with server and etc. It was set up for us by Consultants approx 8 yrs ago. it was relatively clunky to use and not very intuitive at the time. Add-ons were pricey so we weren't able to take advantage of all the bells and whistles we saw in training. 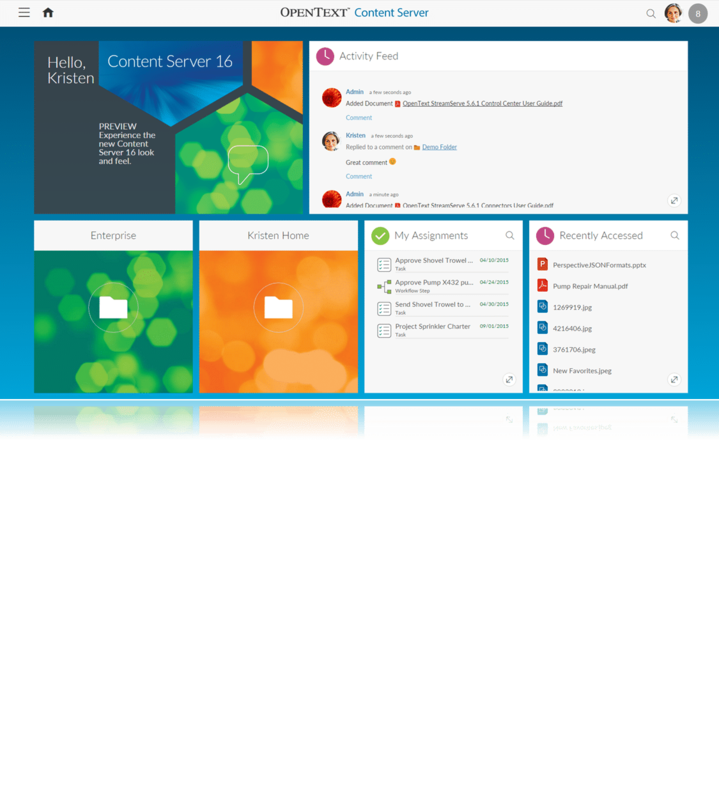 The UI/layout is a bit more usability-friendly as compared to other ECM products in the market, but the core features are pretty much run of the mill and not really distinct from the rest of the ECM/DCM players out there. Their product support is very passive and slow to respond to customer queries and requests for extended support. Their SLAs for support tickets tend to lag for days before any significant feedback/analysis is provided. A lot of their out-of-the-box features will only address 60% to 70% of your organization's core business ECM requirements and when you request even consultation on how to expand the features (or even explore configuration/customization), they would already state that this is out of scope and would upsell you to pay additional premiums for these. 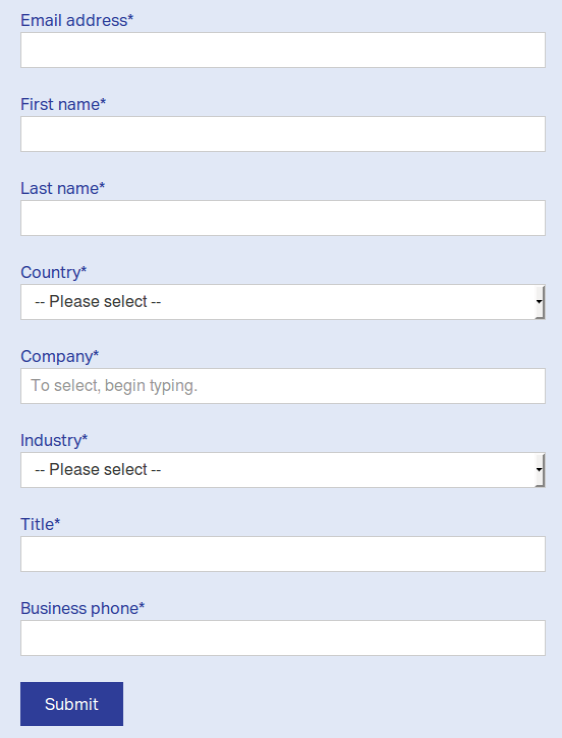 To be more specific, in terms of detailed layering of user permissions to access certain content, managing access for internal and external users...the out of the box features of OpenText are quite limiting and getting the features to handle special use-cases unfortunately require configuration that can only be addressed by tech support (services at cost). There were also lack of available trained/learned professionals who can provide internal/contracted support. It only solved basic, high level enterprise content management requirements but as to the deeper, more granular use cases of our requirements, it didn't really address them with the out of the box features. Our organization had to shell out hundreds of thousands of $$ to extend the capabilities of the ECM solution. Comments: Content server is a good product for document management. The system provides tight security controls, extensive auditing and version control management so you can truly see how users are interacting with the system.